IBMA has announced the winners of this year’s International Bluegrass Music Awards hosted at the International Bluegrass Music Awards show on 28th Sept., at the Duke Energy Performing Arts Centre in Raleigh, North Carolina. Awards are voted on by the professional membership of the International Bluegrass Music Association (IBMA), the trade association for the bluegrass music industry. The International Bluegrass Music Awards is the centre-piece of the IBMA’s World of Bluegrass week. Here are the individual awards announced this week. For a full list of awards and recipients visit our 2017 IBMA Awards page. Entertainer of the Year: The Earls of Leicester. Female Vocalist of the Year: Brooke Aldridge. Male Vocalist of the Year: Shawn Camp. Vocal Group of the Year: Flatt Lonesome. Instrumental Group of the Year: Michael Cleveland & Flamekeeper. 16-time Grammy-winning banjoist Béla Fleck and old-time-meets-Far-East banjoist Abigail Washburn will host the IBMA’s 28th Annual International Bluegrass Music Awards Show on Thursday, September 28 at Raleigh, North Carolina’s Duke Energy Center for the Performing Arts. It’s the biggest night in bluegrass music. The International Bluegrass Music Awards acknowledge the year’s outstanding achievements, honour new Hall of Fame inductees, and wave the worldwide flag for bluegrass music. Béla Fleck and Abigail Washburn have delighted audiences the whole world over, first in their own careers and, these days, appearing together. 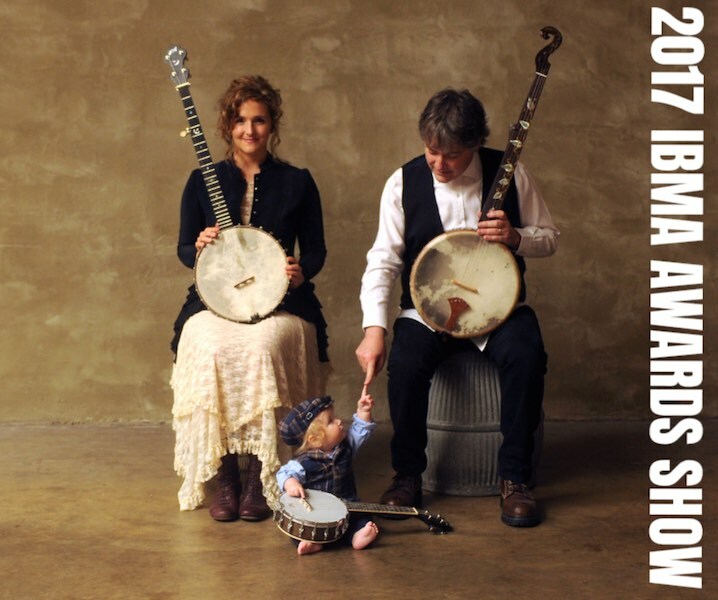 When Béla Fleck and Abigail Washburn play together, it feels like the whole world is truly in tune – CBS’s Charles Osgood. The Awards Show’s theme this year is The Bluegrass Songbook, referring not to a published work, but to the body of music all bluegrass players have in common around the world. This shared repertoire has allowed generations of musicians – from casual front porch pickers to hard-working Hall of Famers – to spend hours making music together with perfect strangers. In fact, Bela Fleck met Abigail Washburn through this shared music at a square dance. They began collaborating musically and, in time, fell in love—thanks in part to the Bluegrass Songbook. 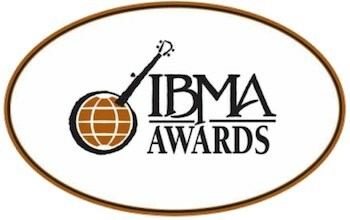 The 2017 IBMA Awards Show will pay homage to this great body of music by gathering unlikely artistic combinations around the familiar tunes of the Bluegrass Songbook – bridging across generations, styles, backgrounds, and geographic boundaries, bringing life to the ‘I’ in the organization’s name and honouring the writers and musicians who paved the way for today’s vibrant, interconnected bluegrass community – Amy Reitnouer, executive producer. The 27th Annual IBMA Awards Show is taking place on Thursday, September 29th at 7:30 ET in Raleigh’s Duke Energy Centre, North Carolina. It is the biggest evening in bluegrass, when professionals get to recognise the outstanding achievements of their peers. It is also an evening when we all become fans as a number of this year’s nominees perform songs from recent projects. This year’s hosts, Sierra Hull and Dan Tyminski will set the tone of fun and celebration for an already entertaining show. This year’s show will once again be broadcast on SiriusXM’s Bluegrass Junction by Kyle Cantrell. IBMA staff will be using Facebook Live extensively during the show. IBMA’s Facebook page will be “airing” segments of the show from the audience’s perspective, while their media partner the Bluegrass Situation will be using Facebook Live for backstage interviews and other activity. This year’s show will not be streamed or aired as it has in the past few years. This is a result of IBMA’s major sponsor, whose funding was to make the show possible, backed out with too little time left to find a replacement. However, organisers are confident that having Facebook Live for IBMA and Bluegrass Situation followers will be a fun approach. There are still tickets available for the show from this link. Thursday night’s 26th Annual International Bluegrass Music Awards will be live streamed online by Music City Roots on their website. If you can’t be there in person and so many of us here in Australia can’t, at least with this offer we now tune in. This service is in addition to the live broadcast on SiriusXM Satellite Radio (Bluegrass Junction) which was previously announced, as well as the live broadcast throughout North Carolina by WUNC-TV. We have also just learned that Alison Krauss will be presenting the induction of Larry Sparks into the Bluegrass Hall of Fame and performing with him. Nominees for the 26th annual International Bluegrass Music Awards were announced today at a special event in the SiriusXM Bluegrass Junction studios in Nashville, Tennessee. The Gibson Brothers announced the nominees, along with SiriusXM’s Kyle Cantrell. Balsam Range bass player and IBMA board member Tim Surrett announced the Distinguished Achievement Award recipients, and new IBMA Executive Director Paul Schiminger announced the Hall of Fame inductees for 2015. Becky Buller performed, as did The Gibson Brothers. A full list of awards nominees, including Special Awards and Momentum Awards is listed below. Our sincere congratulations to all of this year’s nominees. The Awards Show will be Oct. 1 at 7p.m. in Raleigh, NC. The Special Awards will be held in a luncheon on Thursday, Oct. 1, and the Momentum Awards will be held in a luncheon on Wednesday, Sept. 30. Those with business conference passes can attend the luncheons. For more information on the awards show and to get tickets, click here. Derek Halsey, writer for the Herald Dispatch in Huntington, West Virginia,Bluegrass Unlimited magazine, and The Bluegrass Situation.